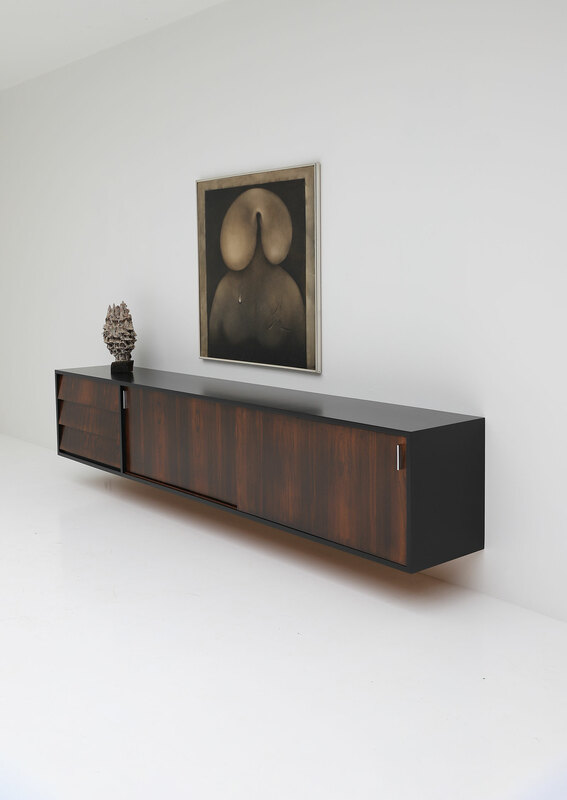 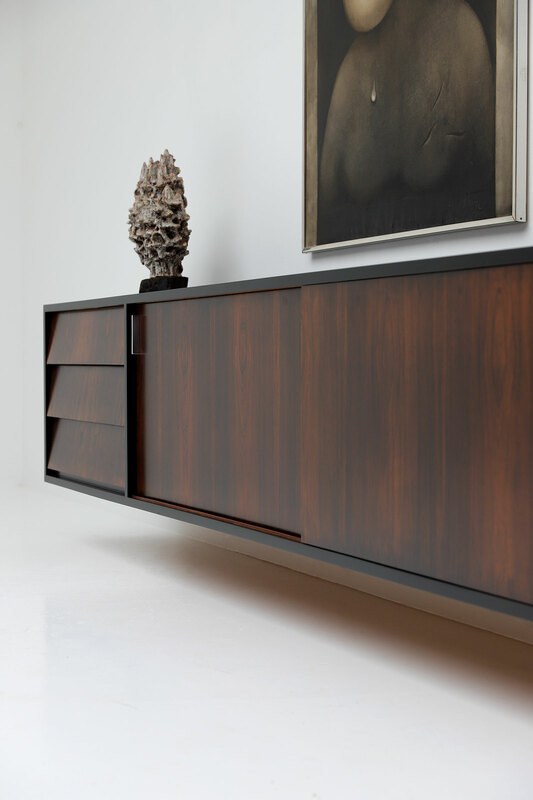 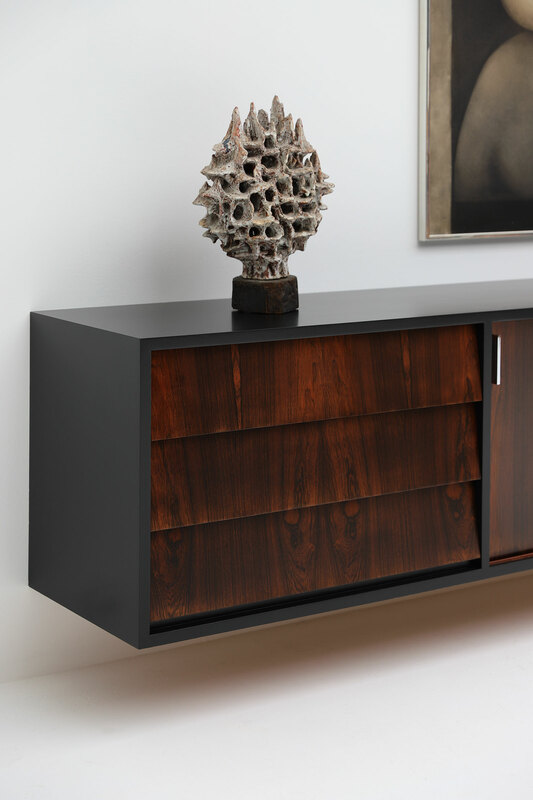 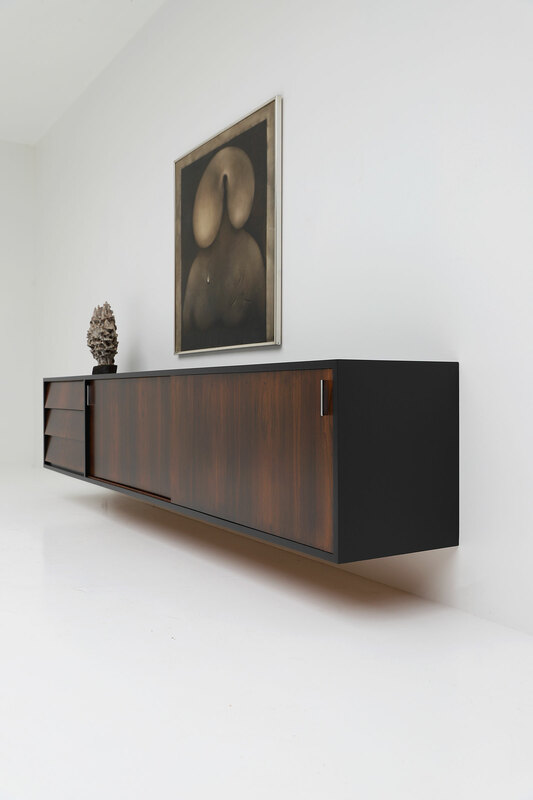 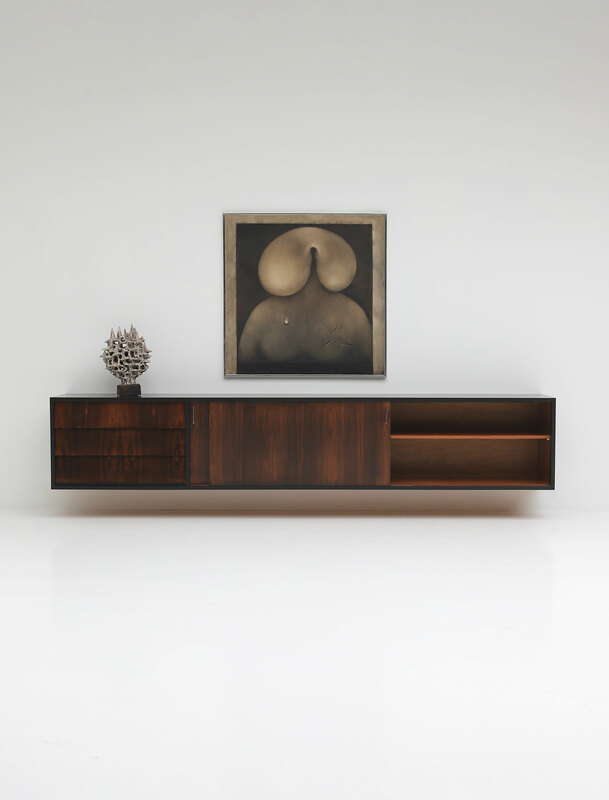 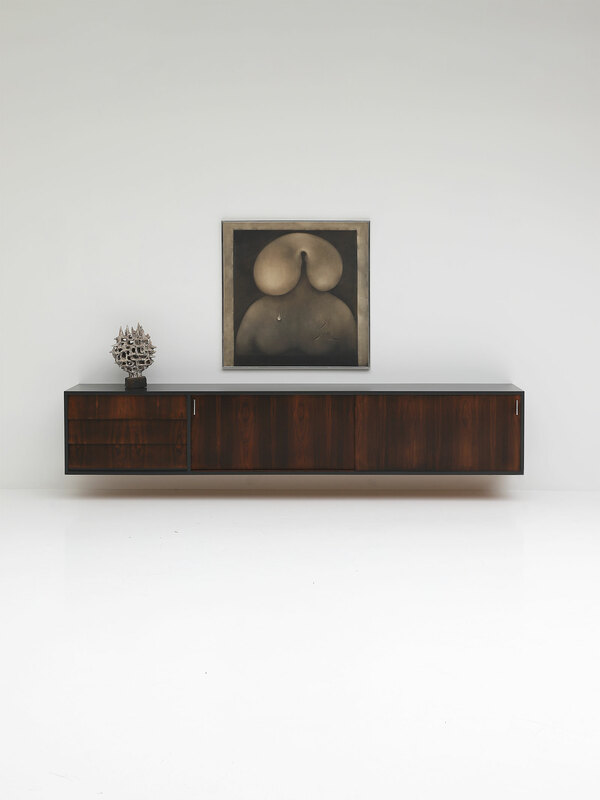 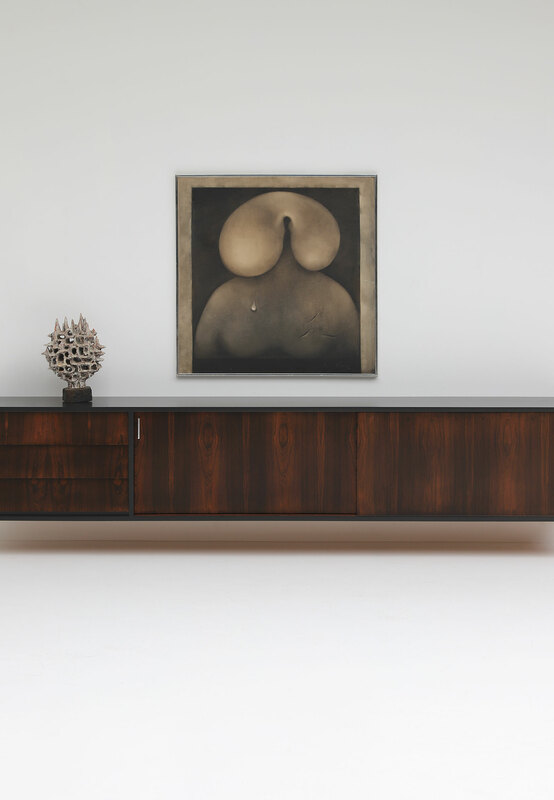 One of a kind floating sideboard made by Belform in the 70s. 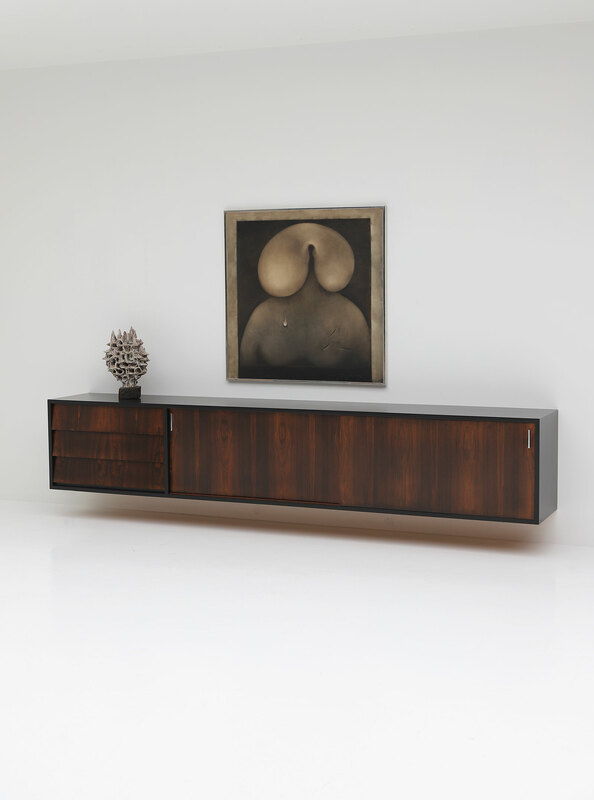 This sideboard has been made on request. 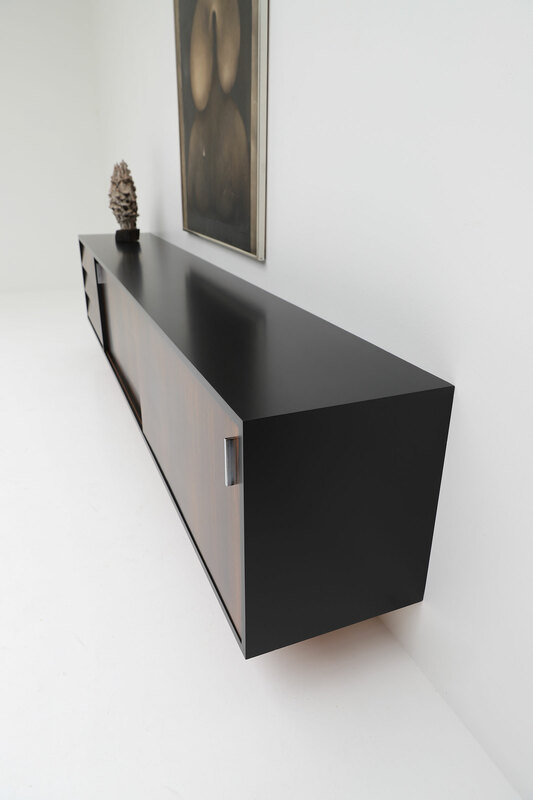 The frame is in one piece and measures 300cm wide. 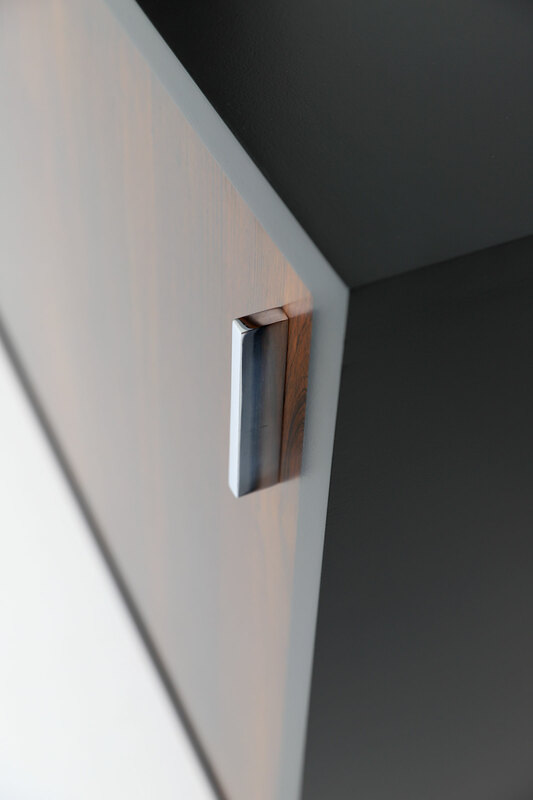 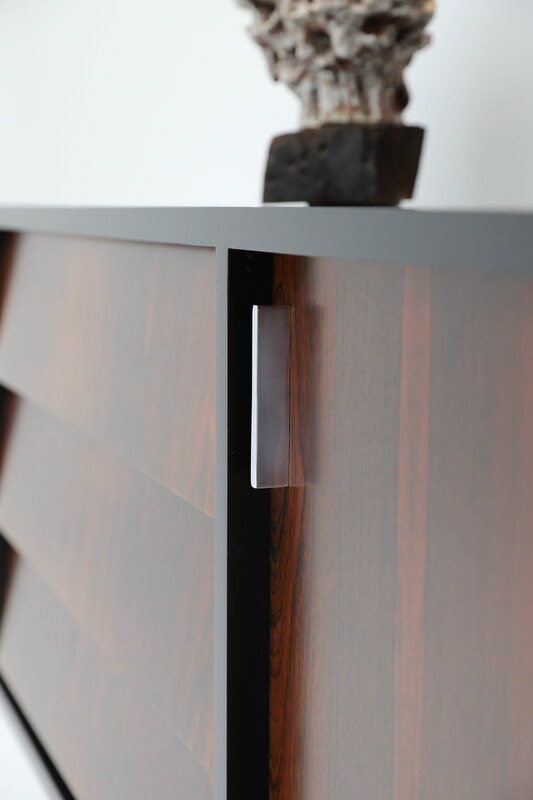 The drawers and sliding doors can be easily removed from the frame. 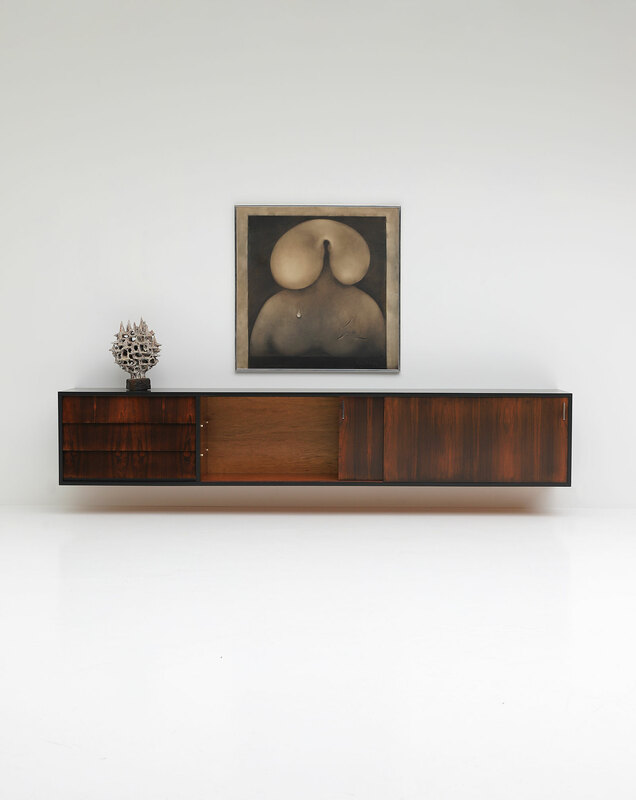 A nice and decorative item with a lively wood pattern.